Crowns are an effective restorative treatment for a damaged or weakened tooth. 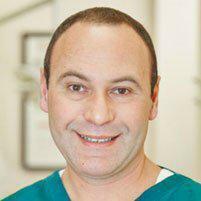 Dr. Leonid Levit, a leading dentist practicing in Brooklyn, New York, offers zirconia crowns. If you have questions about crowns or want to make consultation appointment, call or book an appointment online. Dr. Levit sees patients at Levit Dental and Kensington Dental, located in the Brighton Beach and Kensington neighborhoods of Brooklyn, respectively. Crowns are dental prosthetic devices that cap or cover damaged or decayed teeth. Dr. Levit offers crowns that are made from zirconia, a powdered metal that is part of the titanium family and shares titanium’s biocompatible characteristics. It is also extremely durable, which makes it a popular choice for dental treatments like crowns. What are the benefits of zirconia crowns? In most cases, you will need two visits with Dr. Levit for a crown installation. During the first visit, your tooth will be prepared for the crown. This involves removing a small amount of tooth enamel so the crown will fit flush against your teeth. Dr. Levit also takes an impression of your teeth, so that a crown can be custom made to fit your mouth precisely. You will be fitted with a temporary crown while your permanent crown is being made. At the second appointment, Dr. Levit removes the temporary crown and fits your permanent crown to your tooth. If he is satisfied with the fit, he bonds the crown to your tooth with a medical-grade cement. He buffs and polishes your crown until it shines like a natural tooth. You will need to brush and floss your teeth regularly, just like with normal teeth. It is also important to attend regular dental appointments with Dr. Levit for checkups and professional cleaning.